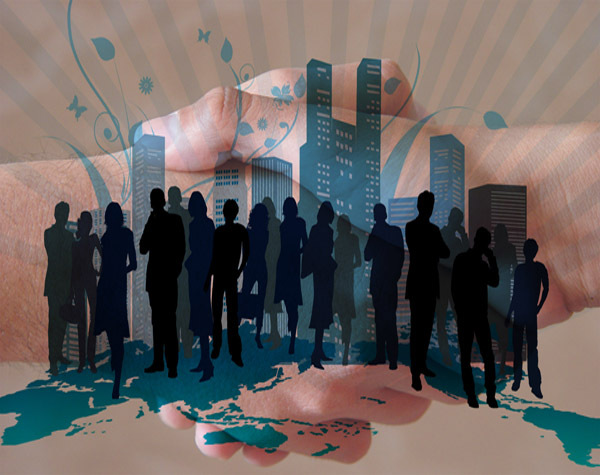 Many of the issues we face in business, or indeed in life, are universal. Often they have been faced by others in the past and the advice they gave or received provides a very rich seam of wisdom that is there for future generations to mine. As a Muslim, I often turn to the rich history of my faith to find inspiration. The Prophet’s cousin, Imam Ali, who was often given to philosophical musings, once made the following observation. “Life is made up of but two days; one for you and one against you. If it is for you, do not take it for granted, and if it is against you, do not become despondent”. If you think carefully about this, it is a perfect piece of advice for business leaders. All ventures will endure some fluctuations in fortune. We all know instinctively that good leadership is needed when businesses are facing tough challenges. We expect leaders to provide strategic vision, empower people and boost morale as they guide it past its hurdles. However, this piece of advice reminds us that leadership is equally needed when businesses are doing well. That we should examine success carefully and not take the factors underlying it for granted. I can’t help but wonder whether the leadership of the Investment banking industry would have benefited from Ali’s perspective in the run up to the 2008 crises in questioning carefully the factors behind their runaway success at the time. The second piece of advice is one I received from my mother. She spent most of her life in Jerusalem working mainly to establish charities for Palestinian refugees, orphans and underprivileged families, as well as for the advancement of women. I always knew that she had done much work in this field, against a difficult political background and within a Palestinian community remarkably incapable of unified action. I was surprised, however, to discover when she passed away last Christmas the extent of her achievement, as it became apparent that she was often one of the main catalysts, if not the main catalyst, in the establishment of almost every charitable foundation, or school or woman’s organisation in East Jerusalem and the West Bank. I then remembered a piece of advice she gave me when I left home as a boy to come to school in England. “It is remarkable what you can achieve if you allow others to take the credit”. Thinking about it, it is perfect advice for business leaders whose aim is to achieve the strategic target set for the company by unleashing the potential of the workforce. It talks to what in modern management speak we call empowerment. It reminds us that people need to be recognised and of the power that can be realised in any organisations if employees can flourish and claim bits of success as their own, so that the enthusiasm generated by these individual victories leads to more achievement whereby the whole of the organisation advances. Crucially it reminds us, as leaders, to think of our priority, which ought to be success of the organisation, not personal recognition. The final piece of advice was given to me recently by the man who introduced me into the City and who was a dear friend, the late Lord Charles Denman. A softly spoken man who was a war hero (awarded the MC), and who subsequently served England tirelessly throughout his life by advancing what we now call the UK’s soft power. During our last luncheon together he told me “The City has been good to you, now you should give back to the City so that she is there to serve the country in the future”. I took that to mean that I should work to ensure that what we do in the City is sustainable and is seen to be serving the country rather than profiteering. This led to the launch of the 300 Club and to joining the work done here in Hermes on sustainability and governance, as well as in other organisations such as UNPRI and Share Action, to ensure that the investment ecosystem delivers the benefits society expects from it. But again, I would argue that the advice Lord Denman gave is more universal. Good businesses should work to ensure that the ecosystem that allowed them to flourish is nurtured and sustained so that future ventures may emerge that may in turn serve society. 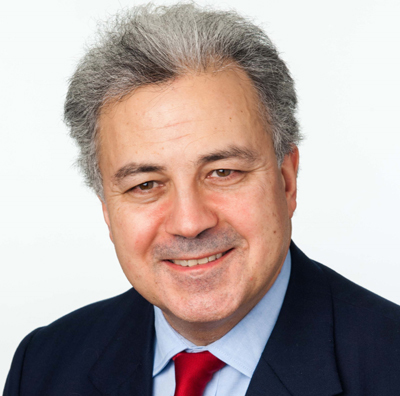 Saker Nusseibeh was appointed CEO of Hermes Fund Managers in May 2012 after joining in June 2009 as a main Board Director and Head of Investment to drive support and represent the Hermes investment capabilities. He is responsible for ensuring that all of Hermes’ investment capabilities deliver investment excellence and are able to compete at the highest levels in the third party market, as well as playing an integral part in Hermes’ drive to acquire new teams and businesses. Previous to Hermes, Saker joined Fortis Investments USA in 2005 as CIO Global Equities, moving on to become Global Head of Equities, responsible for managing the company’s 12 Equity centres. Prior to this he was CIO Global Equities and Head of Marketing of SGAM UK where he re-orientated the company offering to include high-alpha UK strategies and a Global offering, following on from the sale of Trust Company of the West (TCW) to SGAM, where he was Managing Director running various Global and International strategies as well as the London office. He started his career at Mercury Asset Management (MAM) in 1987. Saker is the Chairman of the 300 club, a group of leading investment professionals from across the globe who have joined together to raise awareness about the potential impact of current market thinking and behaviours, and to call for immediate action. Saker is also a public member of Network Rail.